One of the most exciting additions to the VR market in 2017 is the release of TPCAST's wireless HTC Vive add-on, which will do away with the tethered VR experience in favour of a totally free-form VR experience. It has been confirmed that TPCAST's wireless Vive add-on will be available in the EU during Q2 2017, with the device having an MSRP of $249 in the US. Sadly no regional pricing for the UK or EU has been announced. TPCAST's HTC Vive add-on is advertised as having a latency of 2ms, and as presenting no major visual issues, artefacts or desynchronization during use compared to a normal "wired" HTC Vive, making this accessory highly desirable for those who want tetherless VR. This accessory works by using a special TPCAST video transmitter as well as the HTC Vive's two lighthouses, with their transmitter featuring a 160-degree field of view to always have a direct view of the TPCAST wireless unit. This wireless transmitter uses what the company calls "Wireless HD" to transmit video to the HTC Vive, using a special compression algorithm and what is thought to be a 60GHz WiFi band to transmit the data quickly and with minimal loss in quality. TPCAST uses their "Wireless HD" powered 60GHz wireless solution to feed this VR headset's dual 1200x1080 90Hz displays, using batteries which are capable of delivering 90-120 minutes of run time. 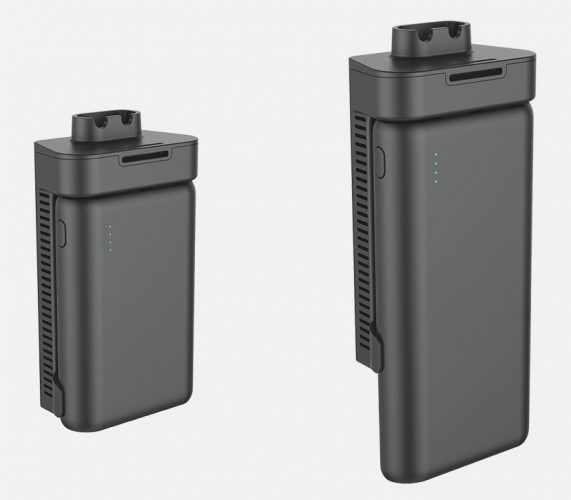 This accessory will be able to run for a total of five hours using a larger battery, with both the TPCAST stock battery and extended battery being shown below. At this time it is unknown when pre-orders for the TPCAST Wireless HTC Vive unit will be available in the US and EU. You can join the discussion on TPCAST's HTC Vive add-on on the OC3D Forums.